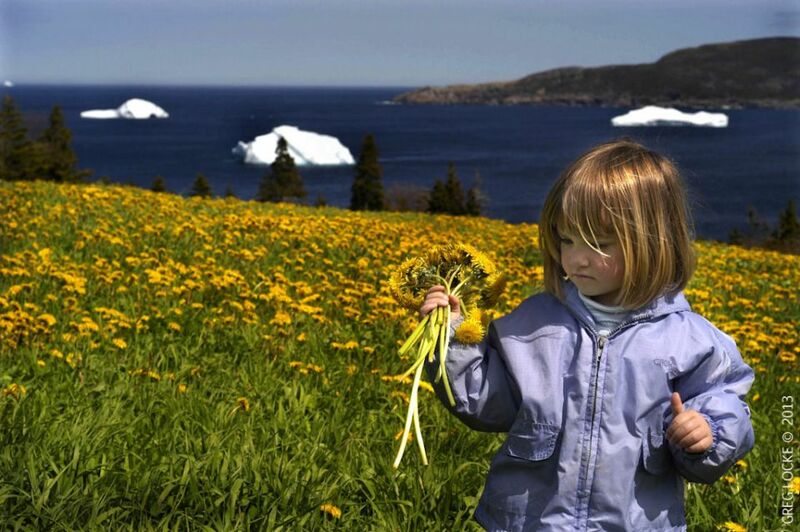 In most places, it’s flowers that signal the coming of spring. 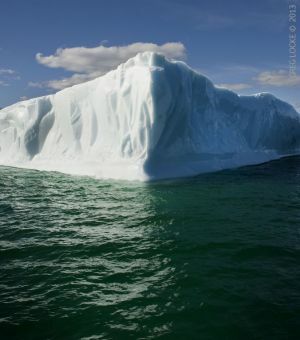 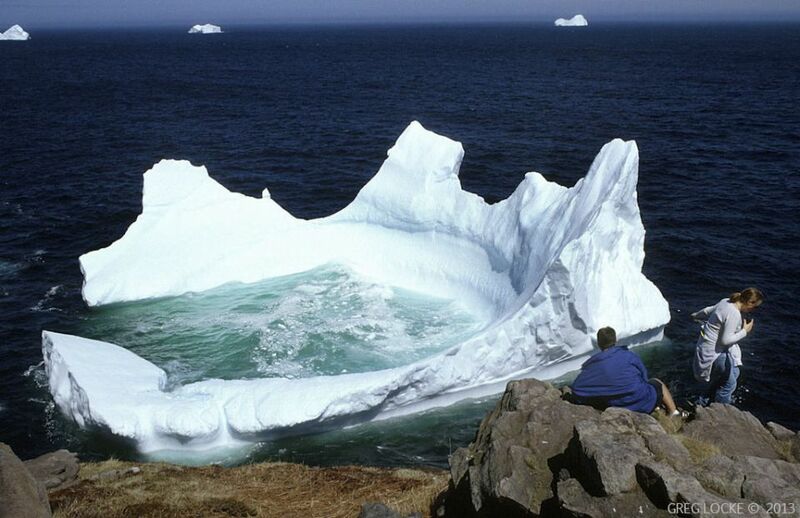 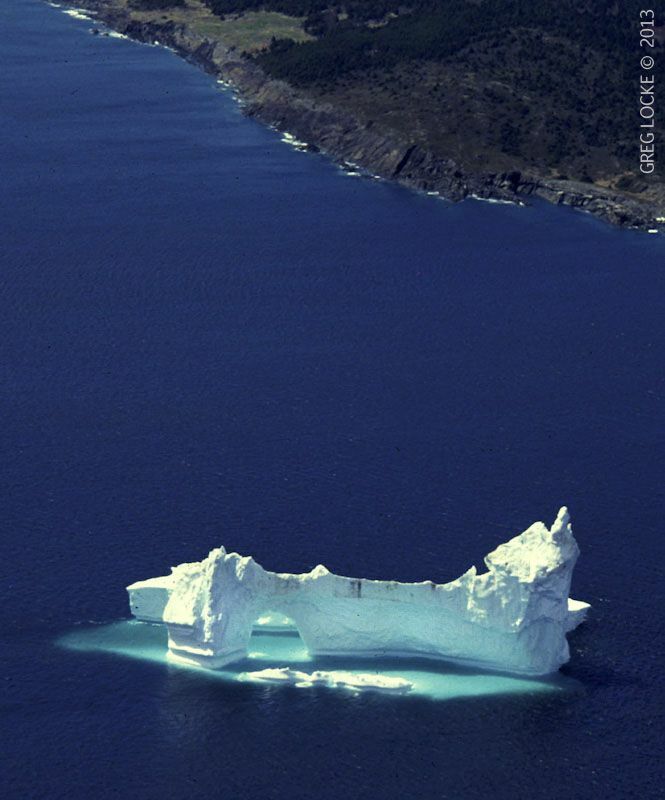 Newfoundland and Labrador have the flowers – but also icebergs. It’s not uncommon to wander the coastal trails and fishing villages on a warm sunny spring day, with a backdrop of icebergs drifting by on an impossibly blue ocean. 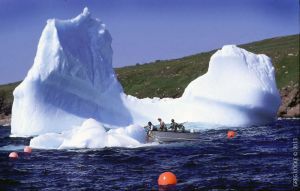 This is because Newfoundland is at the end of Iceberg Alley, an ocean current that brings icebergs from Greenland glaciers and the Canadian Arctic down the Labrador Sea, crashing them into the north coast of the island and out onto the shallow waters of the Grand Banks, where they melt and fade away. 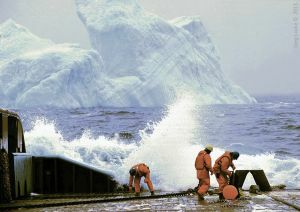 On the Banks they are a risk to shipping, the fishermen and the offshore oil industry. This is where the “unsinkable” Titanic struck an iceberg and sank, some 300 kilometers southeast of St. John’s. 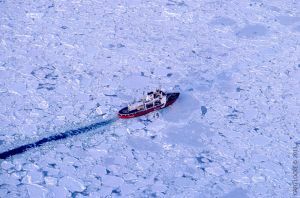 Today, iceberg detection and mitigation are a high tech science that still sometimes resorts to brute force, in the form of powerful supply ships capable of towing and diverting the path of small icebergs away from offshore oil installations. 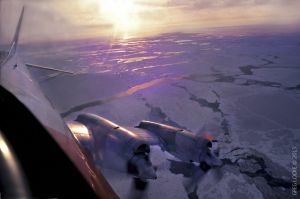 Government aircraft from Canada and the United States do ice reconnaissance and mapping patrols during iceberg season. 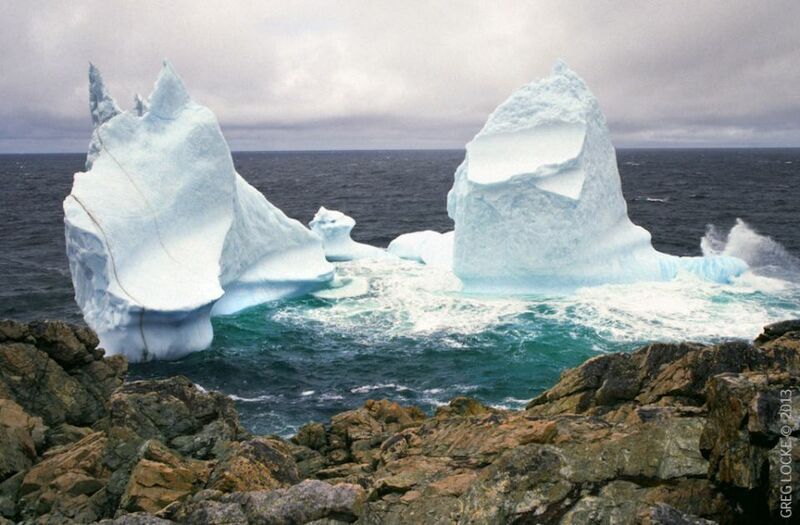 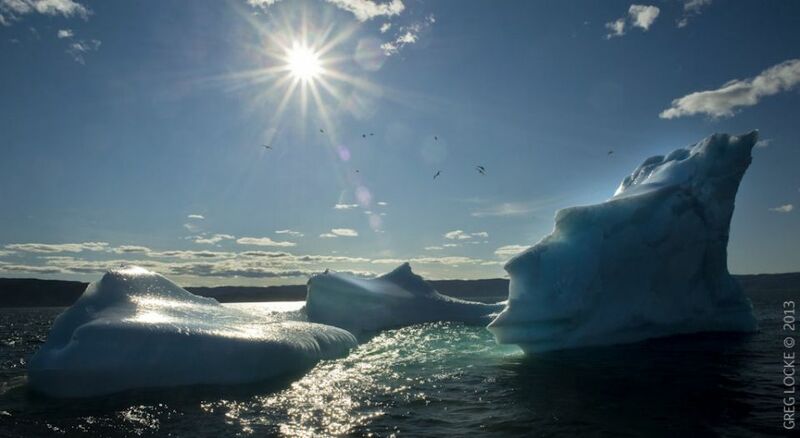 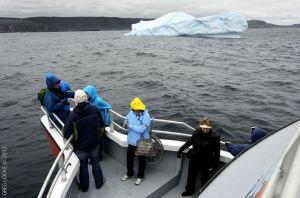 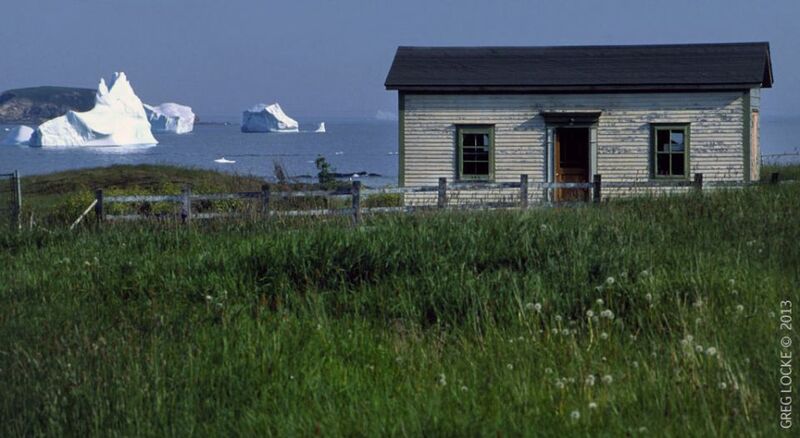 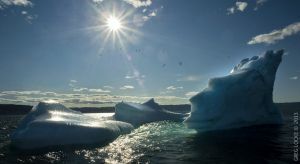 Onshore, the icebergs are more welcome, even worshiped, and they are a boon to the province’s travel and tourism business. 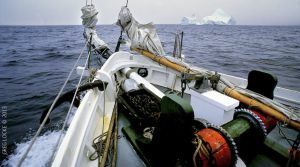 From March to July, adventure seekers come from around the world to see what is normally out of reach to most everyone except Arctic or Antarctic explorers. 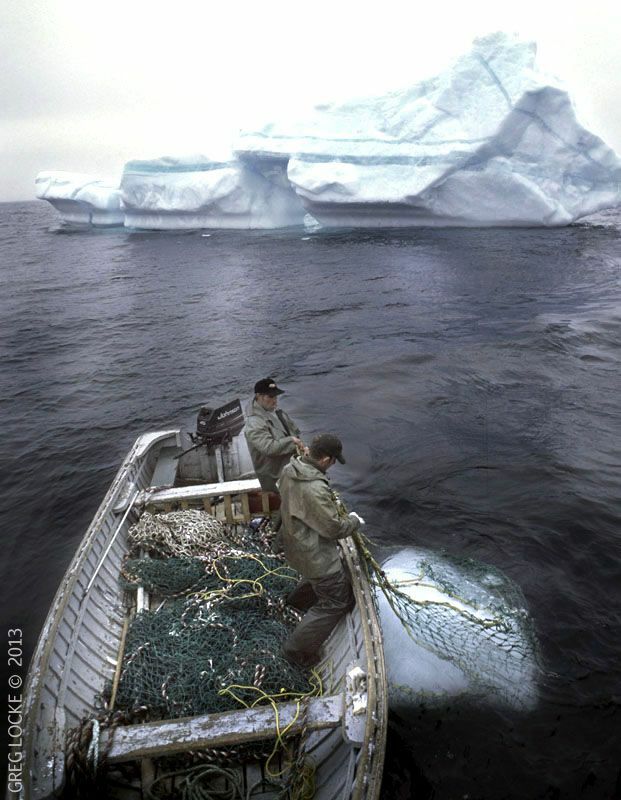 There are even businesses that “harvest” icebergs to make vodka, beer and bottled water. 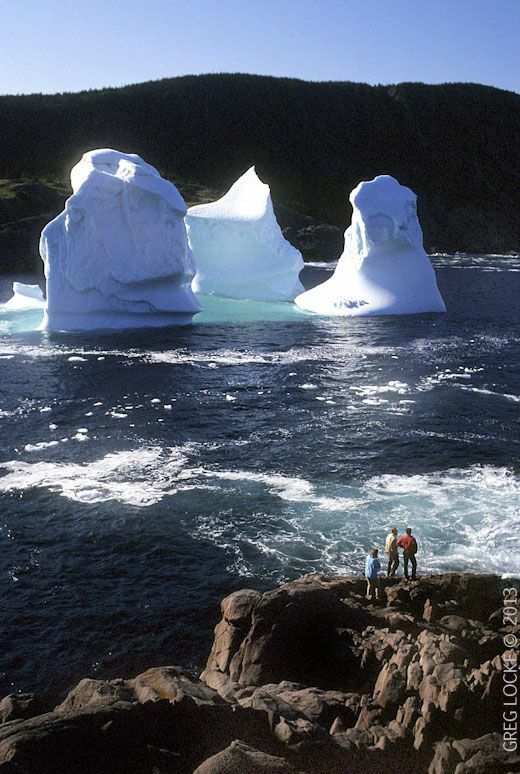 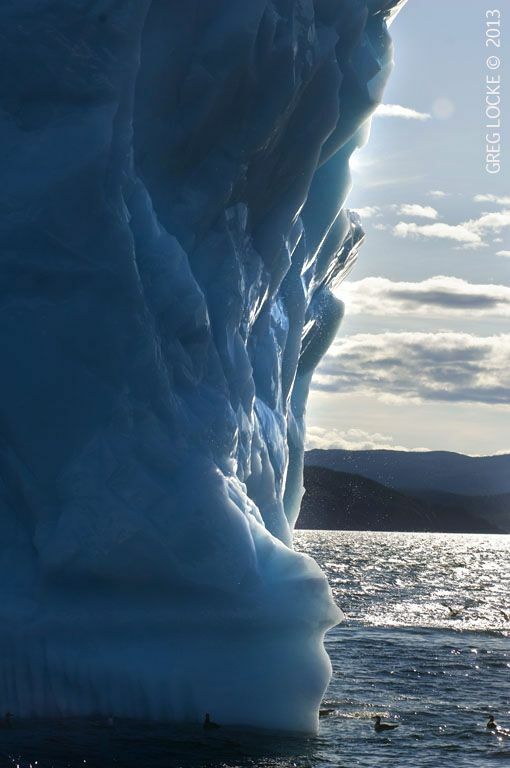 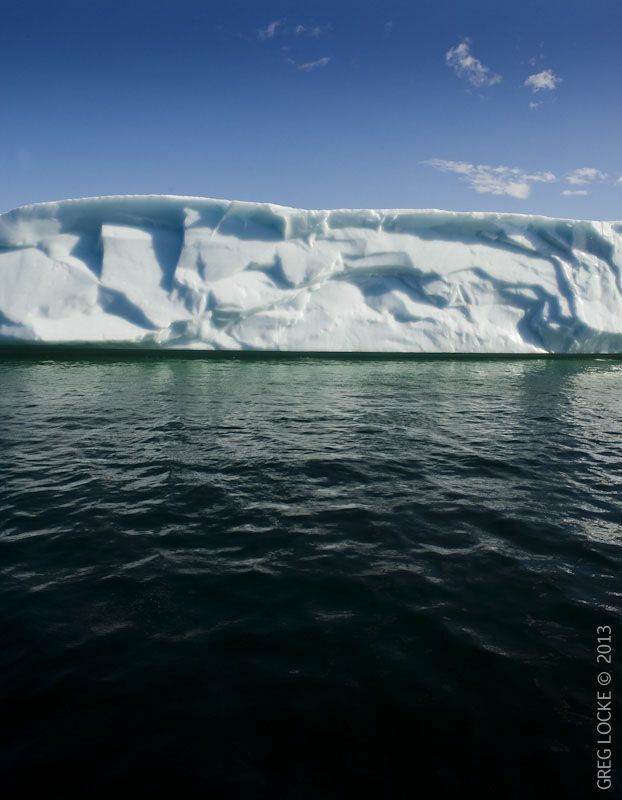 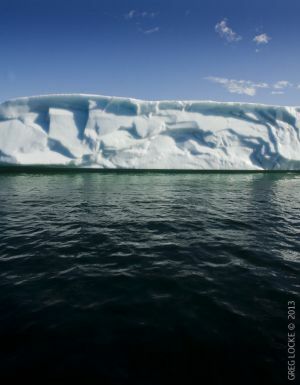 Icebergs are a wonder to witness up close and personal in the North Atlantic from a tour boat or a headland hundreds of metres above the ocean. However, a darker side that few of the global tourists consider is that this bounty of bergs on this out-of-the-way place is a result of a warming planet. 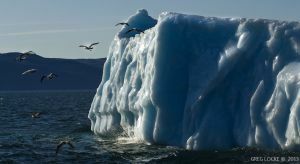 Glaciers and ice fields in the high latitudes are melting and retreating at a unprecedented rate. In August, 2010, an ice island calved from Greenland’s Petermann Glacier. 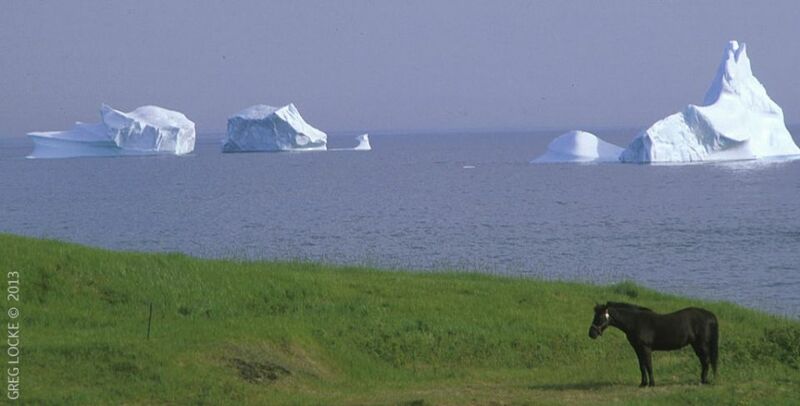 When it first first broke away, it was twice the size of the city of Vancouver. 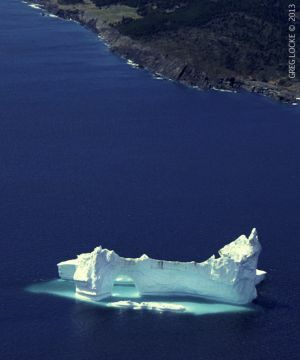 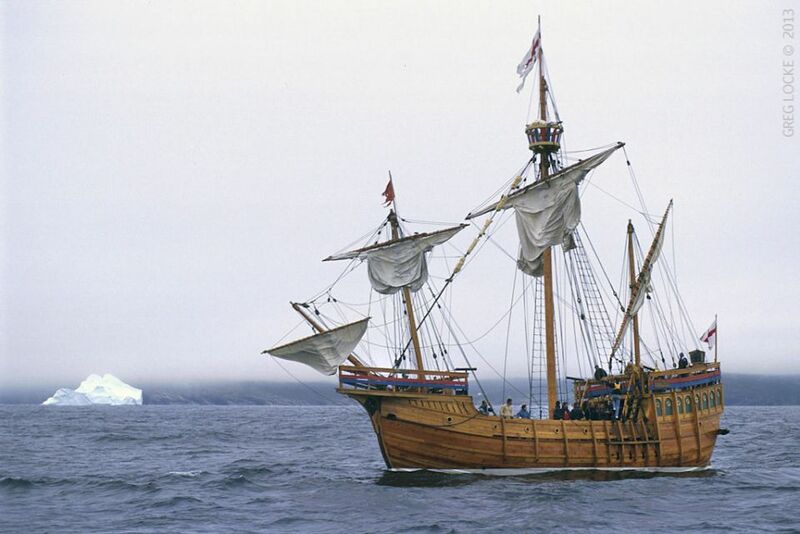 A year later it had broken into two parts and had drifted as far south as the northern tip of the island of Newfoundland where, to the delight of tourists and tourism operators, it splintered into thousands of smaller, but still massive, icebergs. 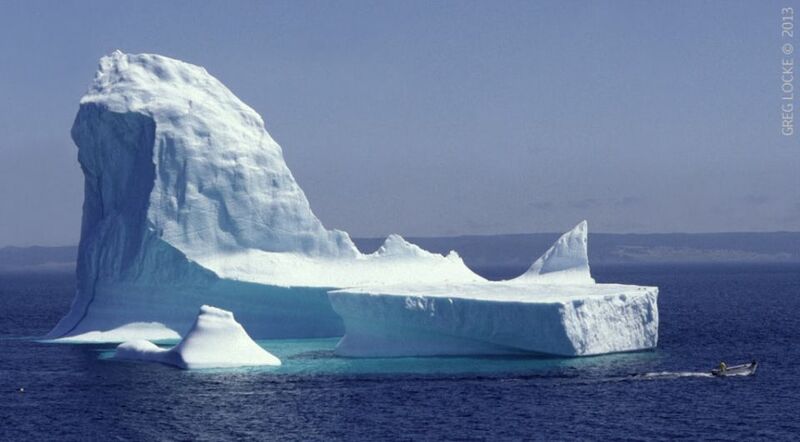 By the way, while it is said nine-tenths of an iceberg is underwater, those iceberg “photos” you see on the Internet, showing the berg above and below the water? …sorry, that’s just clever photoshop artwork. 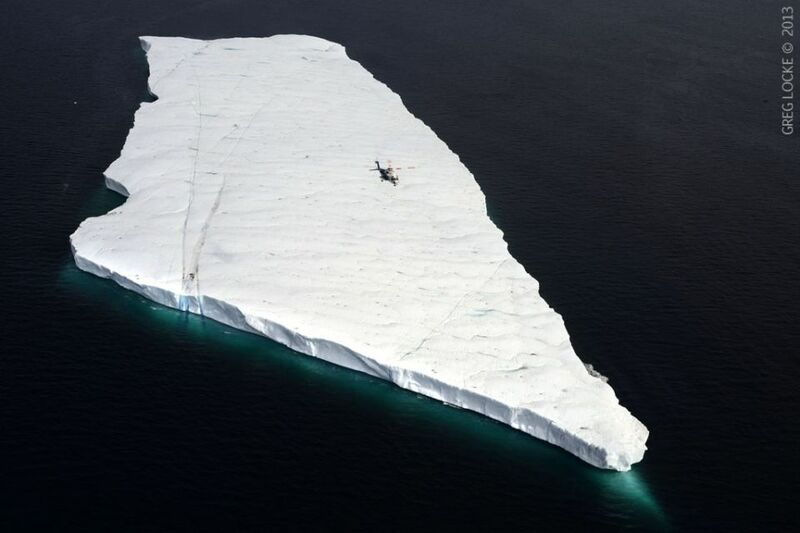 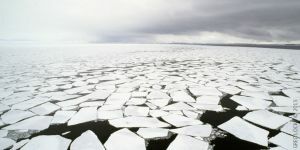 Extreme Ice Loss. 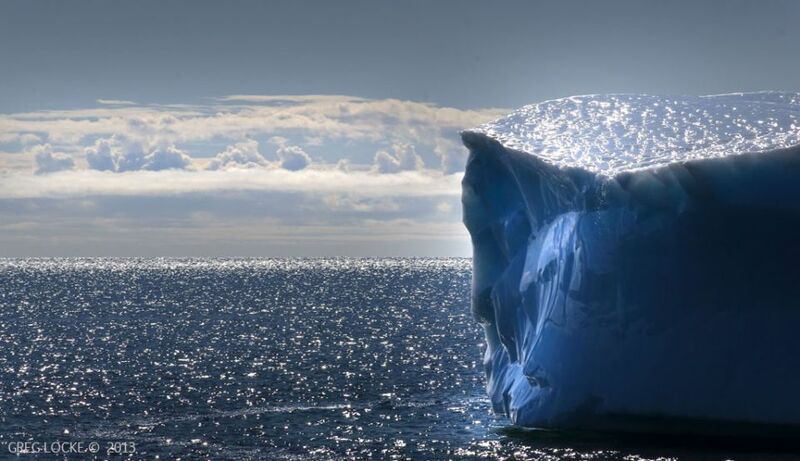 National Geographic James Balog’s TED Talk.